Ebony G. Patterson was born in Kingston Jamaica in 1981. 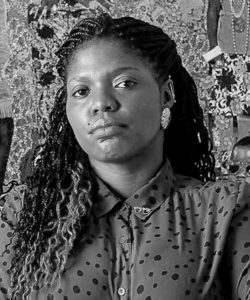 She graduated from the Edna Manley College for the Visual and Performing Arts, Kingston, Jamaica with a BFA honors diploma in painting, and pursued her MFA in Printmaking and drawing at the Sam Fox College of Design & Visual Arts, Washington University, St. Louis graduating in 2006. She then went on to teach at the University of Virginia and is currently teaching painting at the University of Kentucky. She has shown her work as part of numerous solo and group exhibitions, including in the group exhibition Infinite Island: Contemporary Caribbean Art at the Brooklyn Museum of Art. Since then she has shown in a number of institutions including Frost Art Museum, Miami, The Museum of Contemporary African Diaspora Arts, Brooklyn, The Studio Museum in Harlem, New York, the Santa Monica Art Museum, Santa Monica, the National Gallery of Jamaica, Kingston and the National Biennial of Jamaica, to name a few. 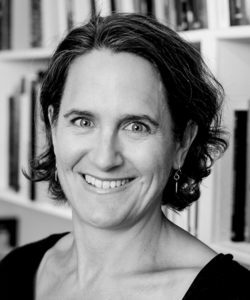 Since 2011, Natasha Egan has served as the executive director of the Museum of Contemporary Photography at Columbia College Chicago (MoCP), where she was previously the associate director and curator since 2000. She has organized over fifty exhibitions with a focus on contemporary Asian art and artists concerned with societal issues, such as the environment, war, and economics. Egan was a guest curator for the 2010 FotoFest Biennial in Houston, the 2016 Photo Dubai Exhibition and has juried international exhibitions. Egan has contributed essays to numerous publications and periodicals and lectures international. For over a decade, she taught in the photography and humanities departments at Columbia College Chicago, and holds a BA in Asian studies, MA in museum studies, and MFA in fine art photography. Tami Katz-Freiman is an art historian, curator and critic, based in Miami, Florida, where she works as an independent curator of contemporary art. From 2005-2010 she was the Chief Curator of the HMA (Haifa Museum of Art) in Israel. 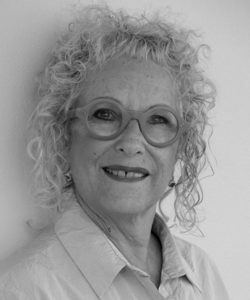 She started her curatorial practice in 1992 and over the years she has curated numerous group and solo exhibitions in prominent museums in Israel and the US, where she lived and worked also between 1994 and 1999. In the years 2008-2010 she was teaching Feminism and Contemporary Art at the Department of Art History at the Tel Aviv University and curatorial studies at the International Curatorial Program of the Kalisher School of Art and Technology in Tel Aviv. In addition to essays for catalogues and books published in conjunction with the exhibitions she has curated, Katz-Freiman has written numerous articles, essays, and reviews addressing various issues in contemporary art. In 2012 she curated two major exhibitions: Critical Mass: Contemporary Art from India for the new wing of the Tel Aviv Museum of Art and UNNATURAL for the Bass Museum of Art, Miami Beach. She is a board member of AIRIE and a member of IKT and AICA/USA, the International Association of Art Critics. Recently she curated Sun Stand Still by Gal Weinstein for the Israeli Pavilion in the 57th International Art Exhibition (2017), La Biennale di Venezia.